The popularity of social media is not just limited to personal usage. Today social media has become one of the most important media for the business promotion. The reasons are simple and straight, SM has a huge pool of users and has far better reach than any other medium available today. It is because of the same reason that today, major companies are focusing and emphasizing on social media for their brand or product promotion. Well, initially the question that was asked by business businesses was, “why should our business be on social media?”. Which is now being replaced by “How can our business grow in social media?” As vital as social media marketing is for any business to stay ahead in the curve, it equally important to understand how will you implement the strategies for the scope of better monetizing opportunities. 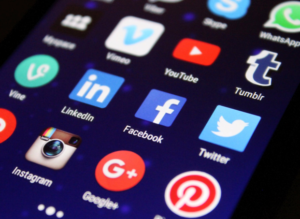 Before you start planning your strategies to bring your business into social media marketing, you should first check that what’s your business’ current status on various social media platform. This will help you to understand that how much efforts you have to put to reach up to your desired level. To do so you can follow certain steps mentioned below. Which you are currently active on? 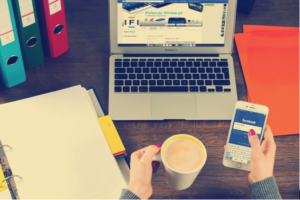 Facebook, LinkedIn, Instagram, or Tumblr, there are many social media platforms available today where you can promote your business as a digital marketing practice. What you need to do is, you need to analyze that which social media platform shall support your strategies in most efficient manner. Make a list of the platforms that you want to promote your business on and check the reach of these platforms to get the best out of your strategies. Are your networks optimization friendly? When you select a platform for social marketing, make sure that the particular platform is optimization friendly, especially for images, videos and photos. This shall enable you to have a better plan when you are stepping into social media marketing. Which platform will offer you the desired value? As discussed above, while selecting the correct medium for social media marketing, do some research that which platform shall provide you the best value of your investment. Investments can be in the terms of money, or time. So take your time and analyze that which platform shall provide you the best value of your investments. When you are planning down your social media strategies for digital marketing, make sure you are crystal clear about the audience you want to target. While preparing the strategies, it is really important to understand what percent of your targeted audience is active on which platform. You have to identify, your customer on following parameters. Let’s be practical, it’s of no use to hire one of the best marketers if you are not sure about the genre of customers you want to target. If you do so, most likely you are bound to waste your time, resource, and most importantly, your money. In the words of Dan Schawbel–“What makes you weird, makes you unique and makes you stand out.” Which means to be unique, make a unique identity for your brand on social media. Come up with some catchy statement or taglines specifically for social media platform. A statement that defines your brand and catches the eyes of the viewer. This mission statement will drive your future goals on social media platforms. Make sure that your statement marks your presence over the platform. This will impact your future social media campaigns and will help you drive more leads for your business. It is also very important that you keep the genre of the audience/customer in mind while framing the mission statement. For example, you can come up with a statement like “to use social media to educate current and potential customers about digital marketing, with a focus on social media marketing.” This statement will represent your brand on the social media platform and will make it simpler and clearer than what you should create and what you should offer. As it is said “if you cannot measure it, you cannot improve it”, which holds true in the sector of social marketing also. How are you going to measure, whether or not your efforts are paying off? And, let us remind you, we are not talking about merely gaining more followers, we are talking about making money. In order to monitor your progress and where do you stand with your social media campaign, you should identify certain matrices that can visually represent your efforts. Conversion Rate:It is defined as the ratio of the number of visitors who viewed your social media post to the number of people who landed on your website. Time Spent on website:This matrix defines the total time a user stays on your website. Reach:In the application of statistics to advertising and media analysis, reach refers to the total number of different people or households exposed, at least once, to a medium during a given period. Brand Mentions:This defines the number of times your brand name used as the keyword in your social media post. Sentiment:This matrix categorized the viewer’s comments on the basis of the sentiments they are expressing. The viewer can be happy, satisfied or irate. Total Shares:It is the number of shares that your post gets on various social media campaigns. Remember, content is the king. Be it any sort of marketing, like social media marketing, content marketing or any digital marketing medium, the prime requisite is an engaging content. Try to curate a content that engages the viewer in some sort of conversation. Ask questions, this will help you to understand your customer better. And also help you to plan your social media campaigns. However, it has been observed that most of the organizations directly jump to this step, which again takes their efforts to vain. The best practice is to follow the above-mentioned steps i.e, know your customers, make a mission statement, identify the KPIs and then finally then create the content for your viewers. The list can go on and never end, however, make sure that the form of content you’re curating, it matches and aligns with the mission statement you created. Or, in simple words, the content should reflect the ideas and services you willing to offer. Keep this in mind that content is the fuel that keeps the social media marketing for any brand up and running. So it’s really important to have a quality and engaging content. To boost your marketing campaigns, it always a plus to make some investments in some of the social media management tools. These tools can help the marketers to boost the productivity of the websites and scale the efforts in a much simpler manner. Also, these tools help you to align the social media strategies with the content calendar. Such tools allow to you schedule your posts in accordance with the mission statement you curated and services you shall be offering to the client. This is the most important step to have a successful social media marketing strategy. Even the best marketers in the social media marketing sector rely on error and trial method. It might seem quite basic but, tracking the derived results, analyzing the data utilized and making tweaks in the efforts to get optimize it accordingly is highly crucial. Every above-mentioned step should be reanalyzed and re-evaluated once you’ve derived results from them. Make some changes if you are not getting the desired results and re-do the steps and have a successful social media marketing campaign. A social media marketing strategy is not a onetime thing. It requires constant work, constant tweaks if any come up. So, at last, we would suggest that, get out there, create a social media strategy, start tracking the results, and start optimizing as you grow in social media platforms. Nick Piolotto is a software engineer and content writer who enjoy creative copyrighting in digital marketing and software development. He is writer by the day and reader by night.